Fisher-Price Amazing Animals features an exciting press and go action push down on the top and watch the animal roll away! 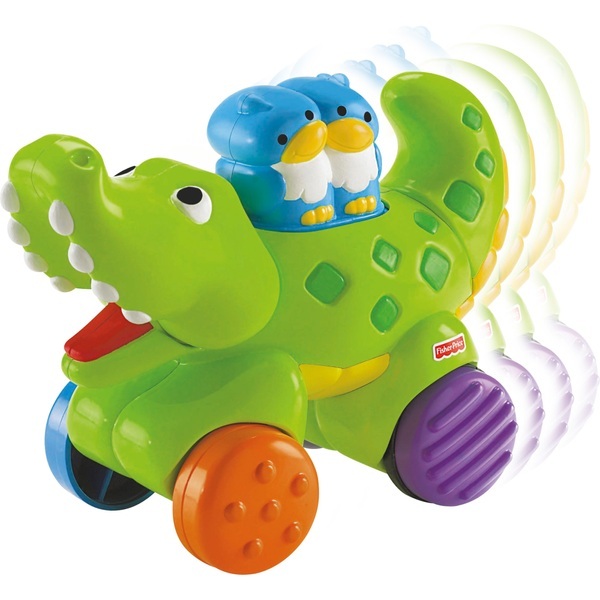 Each Fisher-Price Amazing animal has a fun clicking action.Perfect to encourage crawling! No batteries needed. EU Warning: Not suitable for children under the age of 6 months.